Remind your patrons to be responsible and not dispose of items in the toilet that don't belong with this printed sign on PVC. 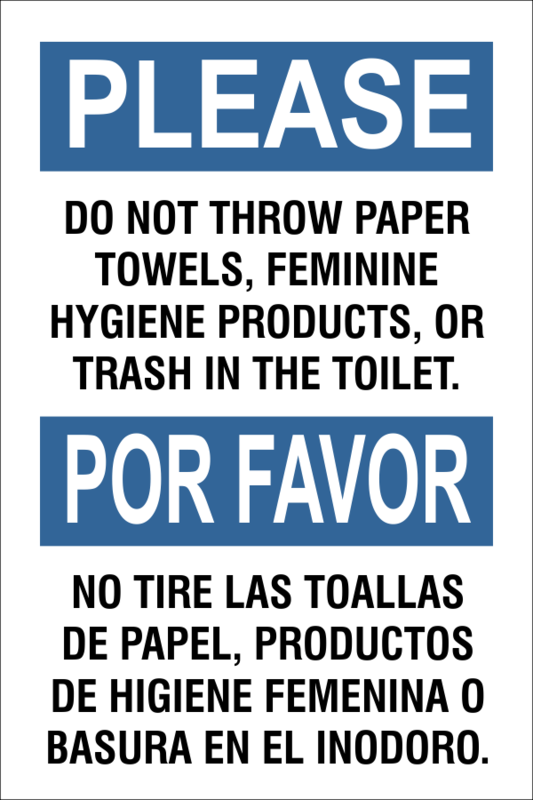 Mount this 8" x 12" printed vinyl PVC plastic sign to your public restrooms to remind your patrons to not dispose of unwantable products in your toilet. Message is in English & Spanish. Choose your backing for easy hanging.